Pumpkin and Its Power to heal! Pumpkin when cooked is a very good food which has proved to be healer of so many ailments attached to human health, eating of this special food along with its vegetables can be a long lasting solution to some of our health challenges. In this article, we are going to discuss 10 different ways which eating of pumpkin can be of great help and make you spend less on buying of drugs. Pumpkins are packed with carotenoids, helping to protect your cells against free radical damage. Like carrots, this orange fruit is rich in beta-carotene, as well as alpha-carotene and beta-cryptoxanthin. After consuming beta-carotene, for instance, your body converts it into vitamin A, all while boosting overall immune function. Based on the antioxidant content of pumpkins, many companies are now utilizing its properties to make skin care products. Yes, that’s right — pumpkin can be applied topically, helping to increase cell turnover, resulting in smoother, healthier-looking skin. 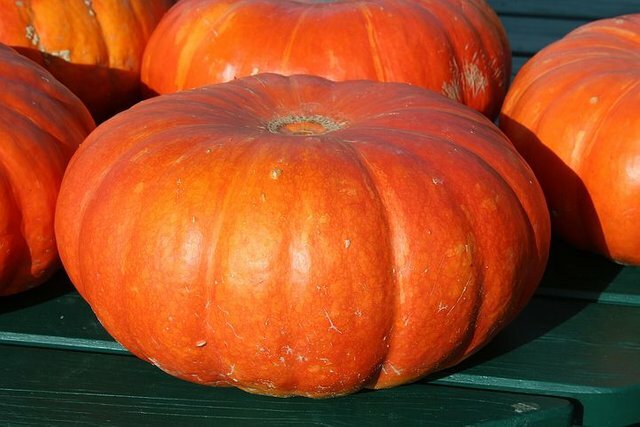 Of course, due to various antioxidants, pumpkin can also address signs of aging. As mentioned, pumpkin is rich in beta-carotene and when consumed, you benefit from a safe source of vitamin A. In fact, when you consume just one cup of pumpkin, you benefit from nearly twice your recommended daily intake. This important vitamin helps to promote optimal vision health, reducing your risk of degenerative eye conditions, while also promoting healthy teeth and bones. Fiber is critical for optimal health, supporting normal bowel movements, blood sugar and even cholesterol levels. We all know fiber supports a healthy digestive system, but did you know it can also support your weight loss journey? When consuming a fiber-rich diet, you will curb hunger and avoid overeating. If one thing is for certain, we need to look after our hearts — an organ that beats over 100,000 times a day. Aside from beneficial antioxidants and fiber, which both contribute to positive heart health, pumpkin seeds are packed with essential fats, phytosterols, magnesium and zinc. Within one study, published in the Journal of Medicinal Food, researchers studied the effects of pumpkin seed oil on hypertension. Researchers induced high arterial blood pressure in rats before treating them with pumpkin seed oil. Researchers concluded that pumpkin seed oil treatment not only normalized blood pressure levels but also protected the heart and aorta. Whether you’re a male or a wife hoping to start your adorable little family, pumpkin seeds may help improve sperm quality. Infertility has been linked to low zinc levels, but luckily pumpkin seeds are rich in this mineral. They may also support healthy testosterone levels and in turn, this combined effect benefits fertility. To ensure you’re eating enough pumpkin seeds, make your own trail mix. This is a great snack to bring to work, helping to fuel both your body and mind. You can also incorporate pumpkin seeds into your favorite bread or muffin recipe with ease. If you’d like an even simpler recipe, try these roasted pumpkin seeds with lemon pepper, garlic and cayenne. Mmm, golden and crispy! When you first find out you’re pregnant, you begin researching every aspect of your expected pregnancy, including what you should and should not eat. Pumpkin and its seeds can both be highly beneficial when expecting, protecting both the mother and fetus. Rich in protein, zinc, vitamin A, folate and other key vitamins, pumpkin meat and seeds can support both you and your growing baby’s needs. Being high in fiber, pumpkin will also help reduce one of the more common symptoms of pregnancy: dreaded constipation. Offering anti-inflammatory benefits, pumpkin can help improve symptoms of arthritis. As reported in one animal study published in Pharmacological Research, researchers found pumpkin seed oil to be equally effective when compared to the pharmaceutical drug indomethacin, without the associated side effects. Whether you have a toothache or an inflamed throat, adding pumpkin to your regular diet can help reduce painful symptoms. It is estimated that up to 80 percent of Americans are not getting enough magnesium, a mineral that is used by every organ in your body. Although magnesium plays an essential role in bone and heart health, it is also found in more than 300 different enzymes. From producing energy to activating nerves and muscles, magnesium is essential. When consuming just one ounce of pumpkin seeds, you benefit from nearly 40 percent of your daily recommended intake, just like that. Considering a deficiency can lead to anything from anxiety disorders to osteoporosis, pumpkin seeds are an easy and effective way to ensure you’re getting enough. Cooked spinach and dark chocolate are also great sources of magnesium. Using pumpkin seeds to treat an enlarged prostate and urinary tract complaints is an old remedy — one that is making a comeback. Considering over half of American men over the age of 50 suffer from issues related to an enlarged prostate, it’s important to protect yourself when you’re young. Based on their high concentration of phytosterols, it’s believed that these compounds can shrink the prostate. Pumpkin seeds also offer chemicals which prevent the transformation of testosterone into DHT, a hormone that is often associated with an enlarged prostate, as well as male pattern baldness. Fats are not the enemy. I repeat, fats are not the enemy. We’re living in a society where low- and zero-fat foods have taken over the supermarket shelves, leading to increased health issues. Your body and brain need fat in order to function. And when consuming pumpkin seeds, you benefit from the good kind — plant-based omega-3 fatty acids. Remember that pumpkin can be used in so many ways, resulting in a delicious meal or snack. Try this out today and besides the enjoyment found in it, you are doing yourself a lot good health wise.